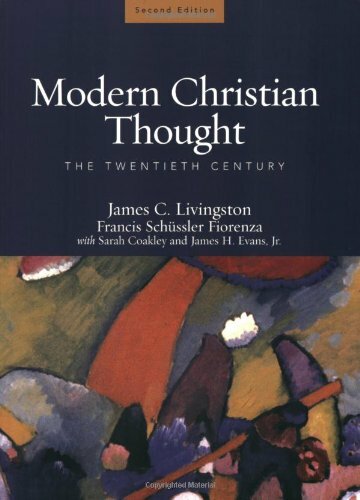 This widely acclaimed introduction to modern Christian thought, formerly published by Prentice Hall, provides full, scholarly accounts of the major movements and thinkers, theologians and philosophers in the Christian tradition since the eighteenth-century Enlightenment, together with solid historical background and critical assessments. This second edition deals with the entire modern period, in both Europe and America, and is the first to include extensive treatment of modern Catholic thinkers, Evangelical thought, and Black and Womanist theology. James Evans did his PhD at Oriel College, Oxford, following a first-class Masters in Historical Research. He has worked as a producer on various historical television documentaries, including Dan Cruickshank's 'Hidden Houses' (BBC2), Niall Ferguson's 'Western Civilisation' (C4), Griff Rhys Jones's 'Rivers' (BBC1) and Michael Wood's 'English Story' (BBC2), for which he also contributed to the accompanying book. What Does "Essence of Christianity" Mean? Experience, Pragmatism, and the "Will to Believe"
Elisabeth Schussler Fiorenza: Jesus and the "Discipleship of Equals"